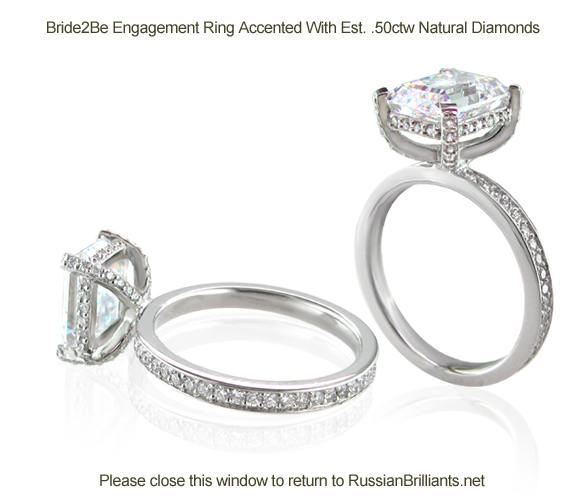 Accented with an estimated 0.60ct total weight natural diamonds FG VS/SI1. This ring is special order and is also available in 18k gold and platinum. Please call 1-800-322-0995 for pricing.